Cuisinart Metal Toaster Just $49.95! Down From $110! PLUS FREE Shipping! You are here: Home / Great Deals / Amazon Deals / Cuisinart Metal Toaster Just $49.95! Down From $110! PLUS FREE Shipping! Don’t miss this deal from Amazon! Get this Cuisinart Metal Toaster for only $49.95, down from $110.00 PLUS FREE shipping! Bring the classical beauty and powerful performance of Cuisinart home with this timeless classic. The brushed stainless steel makes this a chic addition to any home and delivers powerful performance to tackle all of your toasting needs. This delivers preprogrammed custom preset controls for bread, bagels, English muffins, waffles or toaster pastries. 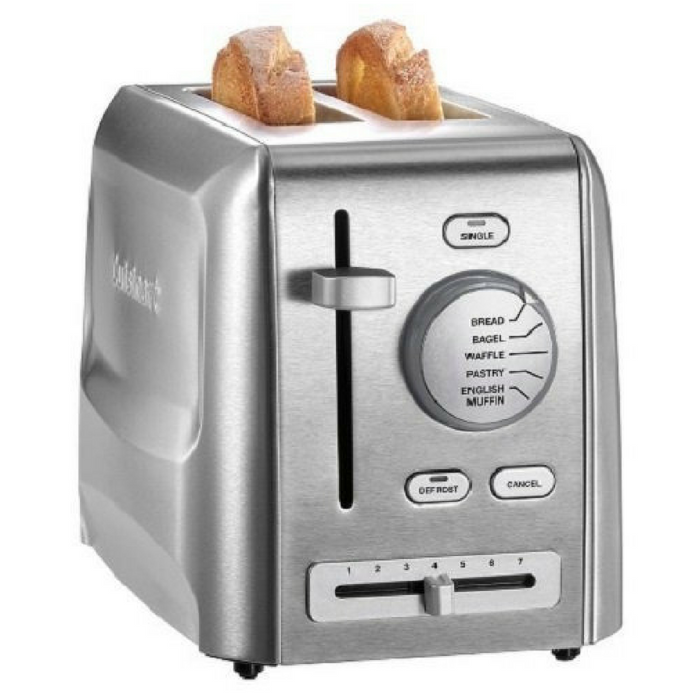 The Defrost feature allows you to effortlessly defrost any item, working in combination with bread type presets for accurate defrosting time before toasting.